Cute or supercute? 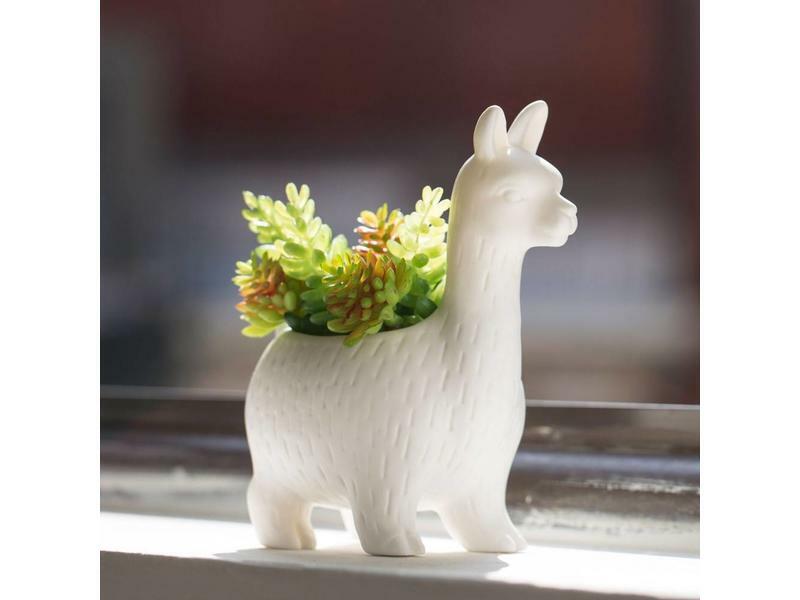 Place this ceramic llama flower pot on the window sill with a beautiful plant in it. So you can enjoy every day a funny and joyful scene. 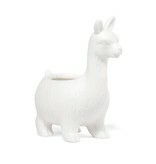 Or give it as a present and put a big smile on someone's face. Cute or supercute? 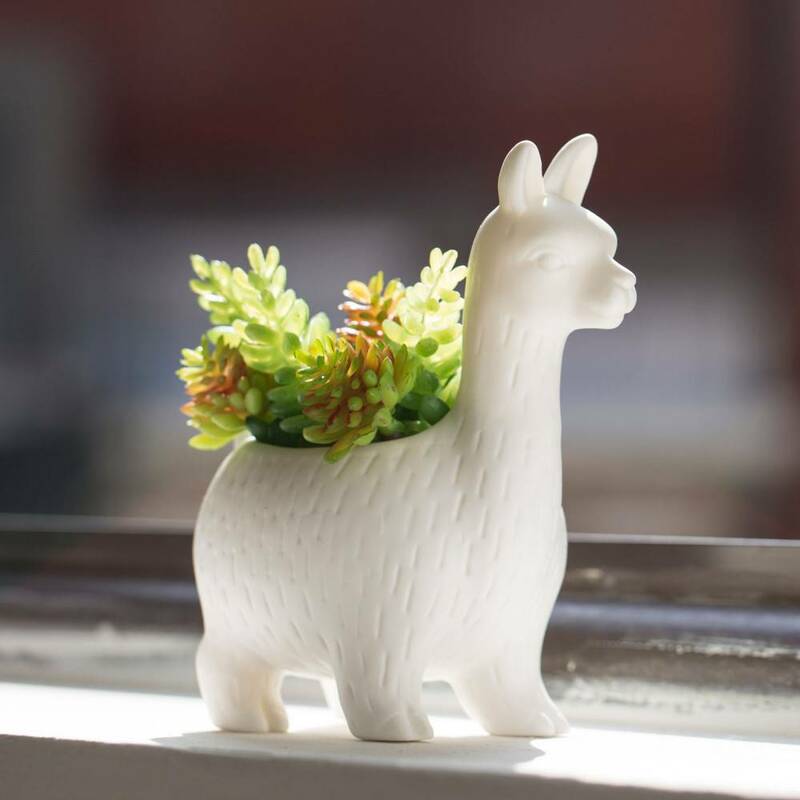 Place this ceramic Hedgehog Flower Pot on the window sill with a beautiful plant in it. So you can enjoy every day a funny and joyful scene. 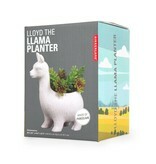 Or give it as a present and put a big smile on someone's face. 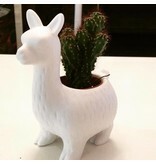 Ceramic flower or plant pot with a picture of Mr. Walsh. 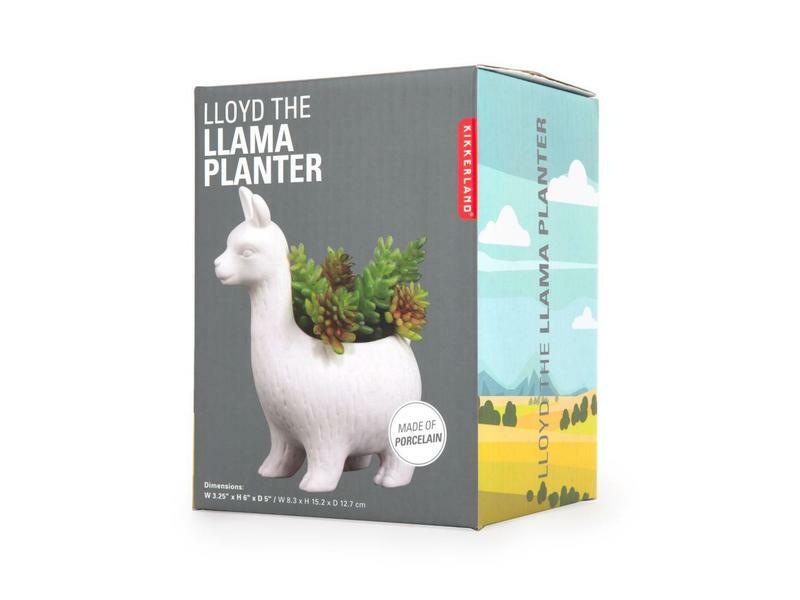 Give him a very own look based on your personal plant choice. 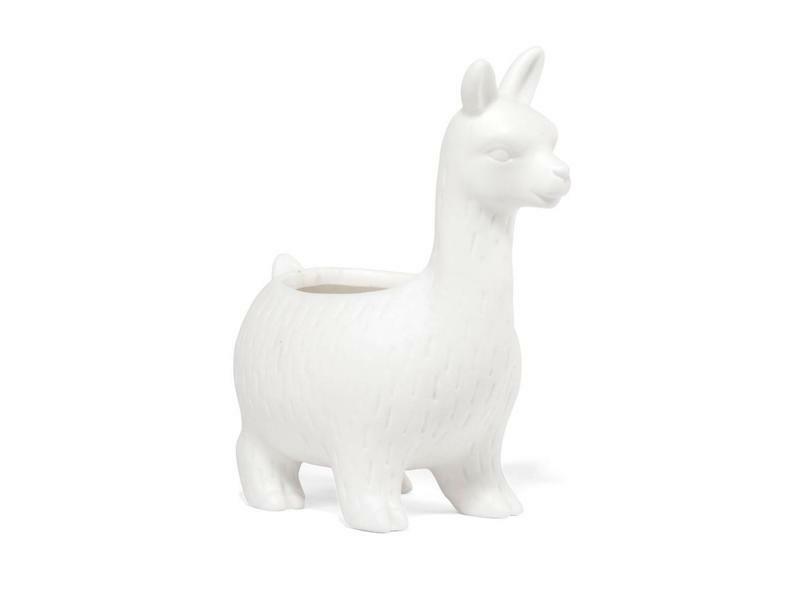 A playful piece of design and kitsch by Swedish designer Ingela P. Arrhenius. 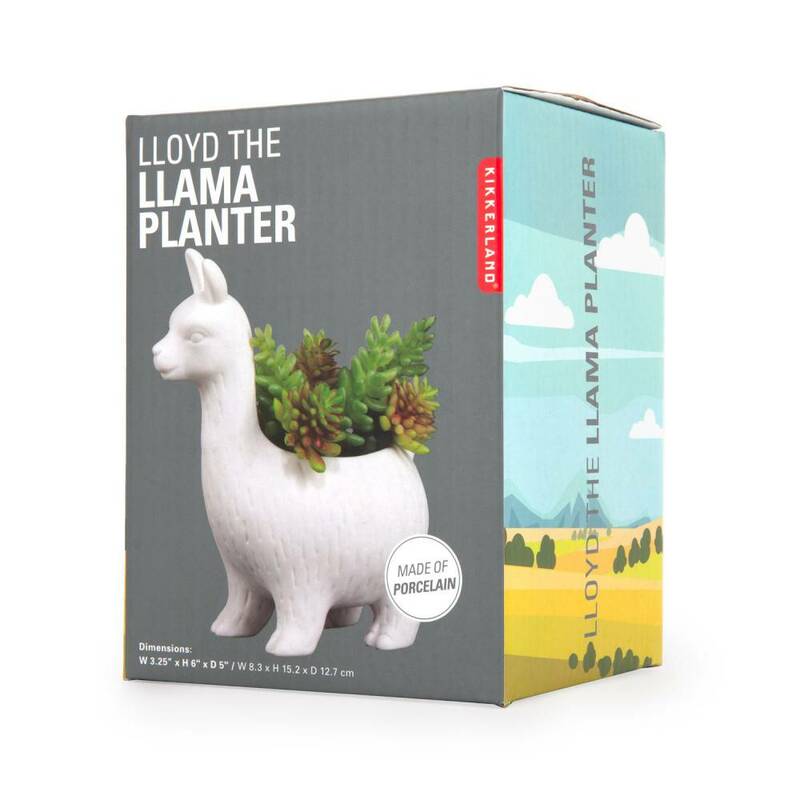 The Nesta planter helps you to get some extra green in your home in an original and decorative way, even when space is limited. It comes with a standing frame and a hanging frame. So you can place or hang it wherever you want. 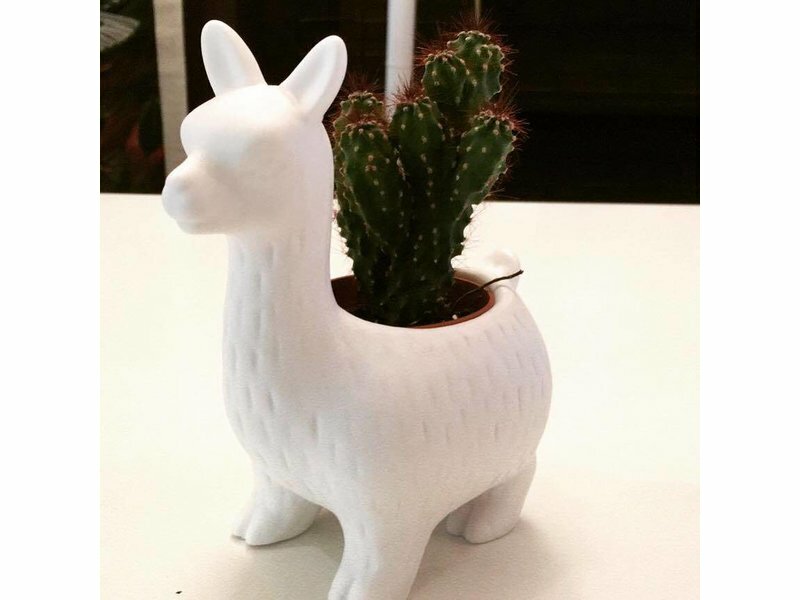 Is it a llama? 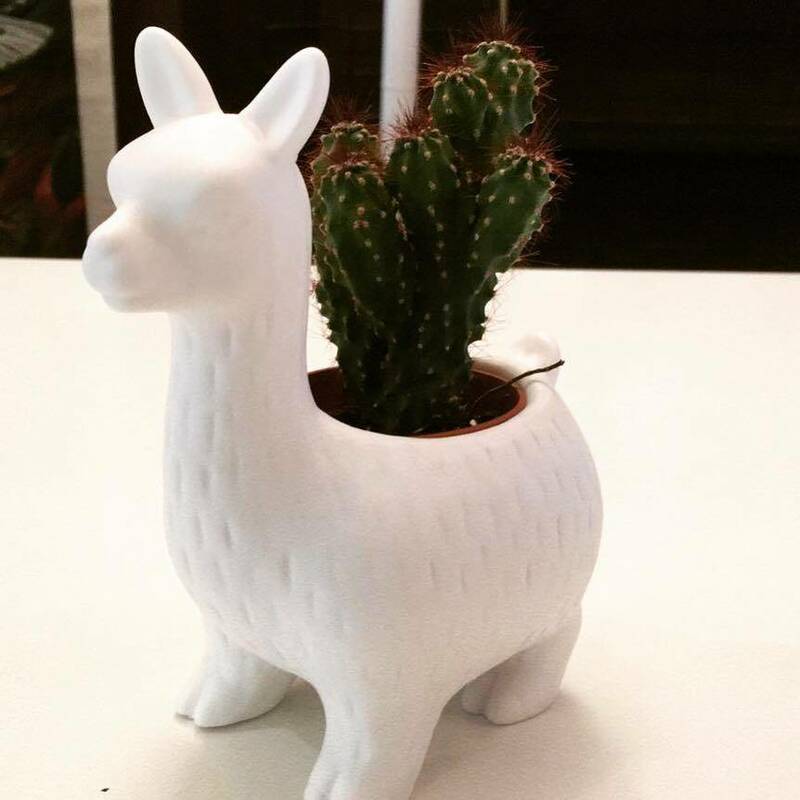 Is it an alpaca? It doesn't matter, just let it keep your toilet clean, because every toilet deserves a cool toilet brush. 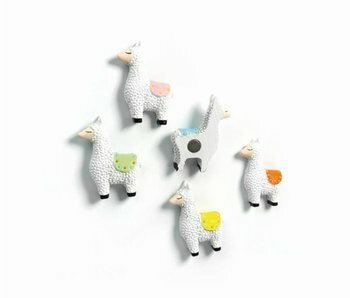 Set of 5 magnets in the shape of 5 colourful, cute llamas. Cold? Shivery? 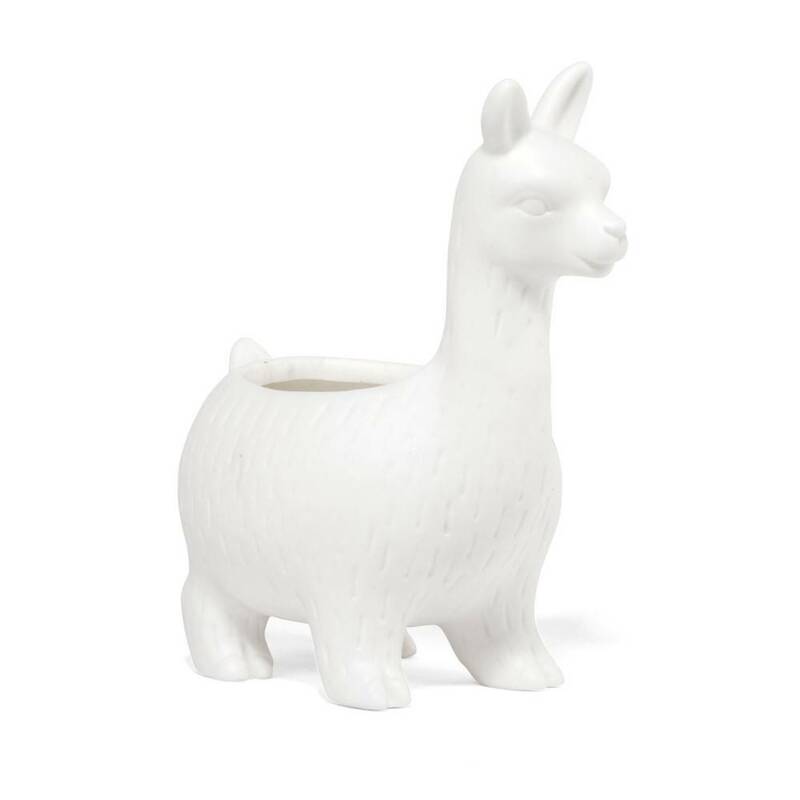 This cute llama will warm you up again. This heating cushion filled with wheat and lavender works as a cherry stone pillow but smells much better. Just put it in the microwave for 1 to 1.5 minutes.